Mu Kappa Omega came away with several awards as always. We won 1st place for LNDS Target 1 ASCEND Signature program achievement award, 1st place LNDS Target 2 Health Promotion Achievement Award, 1st place Target 3 Family Strengthening Award, 2nd Place for the ”Mary Louise Williams” Guiding Star For Public Service Award was won by LaTonya Bergeron and 2nd Place for “The Gwendolyn Brinkley" Fine Arts Award was won by Reshonda Tate Billingsley. We are so proud of our Mu Kappa Omega members for an Outstanding job! 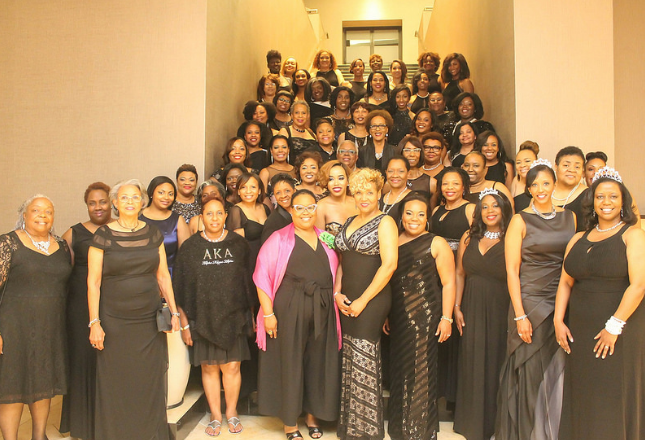 The final evening in Little Rock was awesome, as members donned their beautiful black evening gowns as they attended the Gala. Members enjoyed a wonderful meal while listening to sounds of an amazing band and afterwards danced while the DJ played their favorite hits.